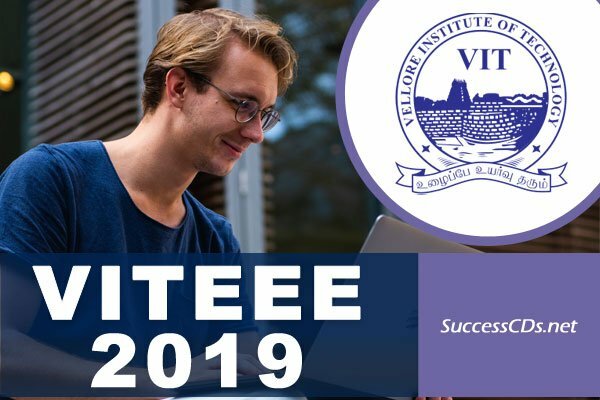 VITEEE 2019 - Vellore Institute of Technology (VIT) has announced VITEEE 2019 Exam. The Vellore Institute of Technology will conduct the VIT Engineering Entrance Examination (VITEEE 2019) on the 02nd or 03rd week of April 2019. VITEEE is a national level entrance test for admission in B.Tech. Programs offered at VIT Vellore Campuses, Chennai Campus, VIT Bhopal and VIT AP Campuses as well. The VITEEE 2019 application form will be available from 01st November 2018. Candidates can avail the complete details of VITEEE, such as the important dates, application procedure, exam details, syllabus, result, counselling below. Vellore Institute of Technology (VIT) is labelled among top 10 engineering institutes in India; over the years, the institute has created an identity of its own in offering quality engineering education in different disciplines. The candidate should be a Resident / Non-Resident Indian National/PIO/OCI holder. Candidates whose date of birth falls on or after 01st July 1997 are eligible to apply for VITEEE-2019. Candidates appearing for the VITEEE in 2019 should have secured an aggregate of 60% in Physics, Chemistry, and Mathematics/Biology in the qualifying examination (+2/Intermediate). The average marks obtained in the subjects Physics, Chemistry and Mathematics or Biology (PCM / PCB) in +2 (or its equivalent) put together should be 50% for the SC/ST & North Eastern State. Candidates who have studied in Regular, Full Time and Formal Education are alone eligible to apply. 'NIOS' candidates are eligible to appear for the VITEEE-2019. 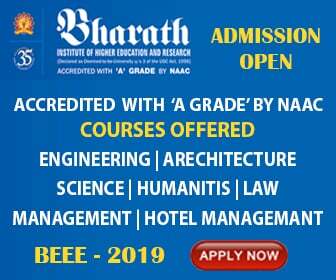 Note: All our Admissions are only through Counselling as per VITEEE-2019 ranking. Hence, we request the parent/students not to contact any consultants/agents for admission purpose. We have not appointed any consultants /agents for our admissions. Marking Scheme: Each correct answer will carry 1 mark. There will be no negative marking. After the slot booking, the candidates will be able to download the admit card from the official website www.vit.ac.in. To download it, you will need to enter the application number and password. The e-Admit card will be auto generated for only those candidates who will book a slot. It will contain the details such as e-Admit card number, the photograph of the student, address of the test center, test date and time selected by the candidate. You are advised to check the details very carefully. If there will be any discrepancy, then you should contact to VIT University immediately. You will also get the copy of VITEEE 2019 Admit Card to your registered email address. Softcopy (scanned copy) of recently taken passport size colour photograph with 10kb - 200kb (Dimensions - 3.5 cm x 4.5 cm) / Softcopy (scanned copy) of Signature of the Candidate with 10kb – 200kb (Dimensions - 3.5 cm x 1.5 cm) in JPG / JPEG format. Selfie photos will not be accepted. Also scanned copy of Aadhar Card/proof of enrolment ID for Aadhar Card is to be submitted.